Check out this super radical new Adventure Time screen print by Tim Doyle and Galerie F entitled “Come Along With Me”!!! 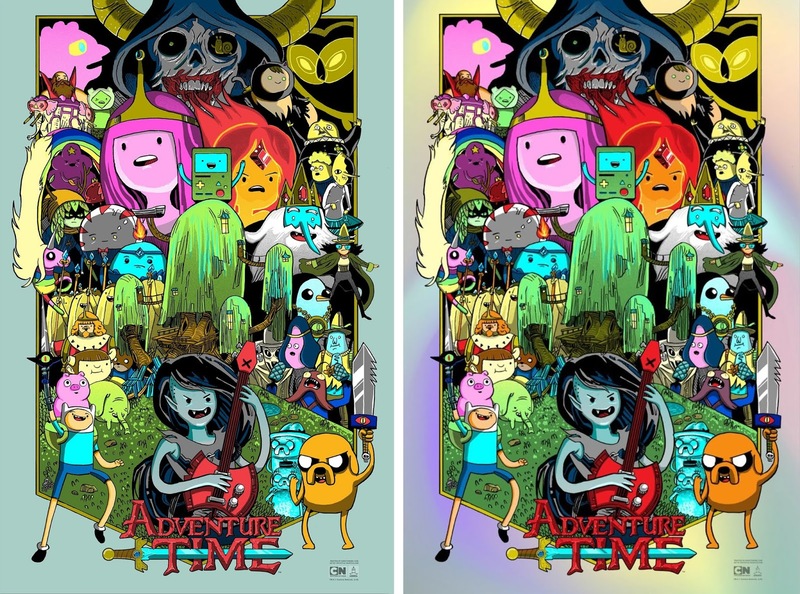 Cartoon Network's popular animated series Adventure Time can now live on forever with this officially licensed poster by the Austin based illustrator and printmaker extraordinaire. Tim will not be releasing a run of artist proofs for this screen print, and this design will never be printed again. 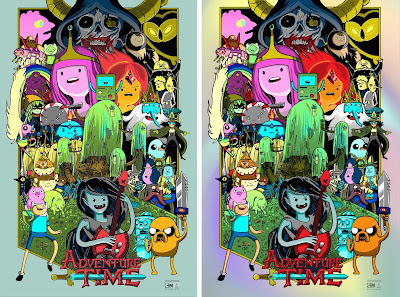 So if you want this killer Adventure Time poster head over to the Galerie F online store now and get one while you still can! “Come Along With Me” by Tim Doyle is a 24”x36” signed and numbered Adventure Time ten color screen print. The Regular Edition is limited to 150 pieces and retails for $50, while the Foil Variant is limited to just 50 pieces and retails for $75.